KILLINGTON – On Tuesday, Dec. 29 at approximately 2:15 p.m. Vermont state police responded to a two vehicle crash on Route 4, near Shady Knoll at the base of Sherburne Pass in Killington, Vt. Preliminary investigation revealed late Tuesday night, revealed that a 2016 International tractor-trailer and a 2009 Cadillac Escalade were involved in a head on collision. Lashawn Jones, age 41 from Alpharetta, GA, was driving the tractor trailer eastbound on Route 4 as the Cadillac Escalade was traveling west leaving Killington. Members of the Vermont State Police, Crash Reconstruction Team, responded to assist troopers out of the Rutland Barracks with the investigation. Due to the severity of the crash, this section of Route 4 was closed for several hours. The investigation is still ongoing and the names of the deceased are withheld, pending notification to the families, police reported. Jones, the driver and sole occupant of the tractor trailer, was transported to Rutland Regional Medical Center for examination. The driver of the Cadillac Escalade plus two occupants died. Another three other occupants of the SUV were transported to Rutland Regional Medical Center for examination. 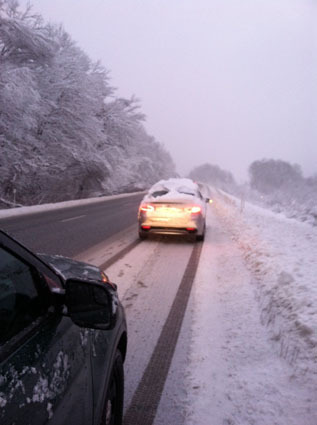 Road conditions were poor; mostly covered with slush and ice due to morning snow and sleet showers, police reported. The Vermont State Police were assisted by members of the Vermont Department of Motor Vehicles, Killington Fire and Rescue and the Rutland Regional Ambulance Service.